Do you need a custom sized organic mattress? Perhaps you have a trundle bed that needs a smaller than average mattress, or a huge bedroom that will look better with a superking. Maybe you have an RV, camper, or boat that needs a special mattress to fit the space. Or perhaps you have an antique or European sized bed frame that does not take a standard size mattress. Getting a custom sized organic mattress is very simple. The Natural Sleep Store sells several mattress options from different manufacturers that will allow you to customize an organic natural latex mattress to the size that best fits your needs. We sell Savvy Rest, Suite Sleep, and Royal Pedic natural latex mattresses that can be customized to your specifications. We also sell Sleepy Sheep Organics wool futon mattresses and toppers that can also be customized to fit your needs. Custom organic mattresses can be modified to the length and/or width that you need. The height is not as easily customizable, but we do have customizable mattress options that range in height from 3” to 13”. Some manufacturers can customize the size of a mattress foundation as well. RoyalPedic will even make a custom sized innerspring mattress and box spring. Along with custom sized organic mattresses, we have several options for custom sized organic mattress toppers, comforters and pillows. We can source organic custom sized sheets, or you can just choose the next size up and tuck the extra amount of sheet under the bed. 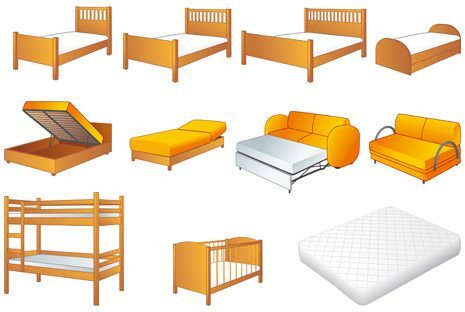 Need to view standard mattress and bedding sizes? View our mattress and bedding size blog post. Pricing is often set at the next size mattress plus a customization fee. It will typically take a couple weeks over the normal lead time for a custom mattress to ship. If you need a custom mattress, please give The Natural Sleep Store a call at 1-866-663-0859 or an email so that we can get you a quote.